I’d first just like to remit a disclaimer here that I’m not endorsing anything or anyone. Although, I wouldn’t be opposed to someone throwing money my way! I wonder if there is an element of forgiveness or un-forgiveness all wrapped up in my pursuit with MS? I try to write away these emotions. But still, often I’m a ball of negativity. Pick your poison: anger, jealousy, weariness, etc. I only mention this because I’m presently reading Let it Go by T.D. Jakes. I’m pretty sure this book wasn’t intended for my medical dilemmas but the more I read the more I recognize myself in between the lines. I mean I’m fairly transparent about my ill will toward this monstrous disease but it’s those sentiments that Jakes speaks of in this book that I need to work on. Granted, I’m less than half way finished, but I’m getting the idea there is something here I can learn from yet another unlikely source. T.D. Jakes! The complicated thing is that there’s no one person that has committed an offense against me. It’s a disease. It’s a disease that has stolen many of my faculties. I use my hate for MS to help me endure the losses I am living with. Jakes is asking us to look at the bigger picture and recognize that what may have once allowed [me] to survive both holds [me] back now and threatens [my] existence. Like I use to be able to safely drive and cook, but now both activities done by me alone threaten all involved. The things I once did as second nature endanger my existence in this new normal because those things are no longer second nature. They are hard, and that makes me livid! I think he’s saying not to look at the immediate offense (my fatigue, lack of walking and driving). But instead widen the picture to capture my supportive family and friends and that includes forgiveness of what is due to Multiple Sclerosis. I know this is confusing. I barely got it myself. I’m still marinating on the idea. But I just got a feeling it may be worthwhile to finish this read. Because right now forgiving MS is impossible. So I have to be honest here. A few weeks have passed and I still haven’t finished the book much less forgiven MS. It’s probably a good read just not for me. I can accept MS and appreciate all the people it has brought my way, but forgive it? That’s too much to ask!! 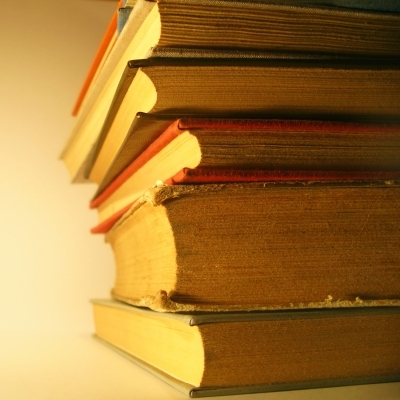 Check out some books that have helped me deal with MS.
Why and where are you moving? Awesome. Hope it all works out well for you. We are looking at relocating to Southern California for cooler weather….currently we live in the desert. I was shut in all summer. That was not good for me mentally or physically. Kim, I live in the heat too. I don’t forgive MS. I accept it. This is the only way I can survive. You know me Nicole. What is to forgive? With everything that can happen in a lifetime it is a wonder we live past ten. Battling cancer gave me incredible coping skills that serve me well now. To just accept is a gift to yourself. I feel u nicole, i wont forgive it. Ill have to live with it and thats all. I try not to let it madden me but it has devastated my life. As far as td jakes books, or anyone else whose like hasent been ripped by a chornic illiness they cant tell me anything. Until u cant do the basic things like walk and wipe yourself u cant tellme to ‘forgive’. dee rob, I hear ya loud and clear. I myself am trying to find a way to find forgiveness for MS and Lupus. This is an everyday event, and at times I feel as if it has inprisioned me from myself. But everyday I am finding a way to reverse the odds. I wake in so much pain that I wish God would take my life, and like you I punish myself. But in the last 6 mounths I have learned to turn the tables and I learn to love myself and life. I have learned to love as many things and people that come into my life. I have began my bucket list, and have already done 10 of the 520 that I have listed. I think that brings the positive back to my life. In 2010 I never thought that these diseases would stop my life as they have, but I am now over the punishment I have put myself through. Now I reassed my life and where I want to be before I die. And I am the happiest I have ever been. It is people like you that have helped people like me to see the real reasons why this is happened, and I am ready to help not only myself, but also others who have been recenlty diagnosed. These illnesses aren’t a picinic, but you can learn to make a picnic with them. These are life life long diseses and I no that there are no cures at this time, but I am hopeful that in time there will be relief and understanding. And that we all have an opprotunity to show the world that we are good people, and that we deserve to live a life with happiness and joy. I am only begining my processes; I can’t wait to see what I will be like in 1-2 years from now. Thank you for your time, and hope to hear from you again. Brigette, Thanks for the read and kind words. I can’t wait to see myself next week! It’s funny I have to tell my kids not to wish away the years in a rush to “be grown up,” but in an adult, especially one who battles chronic conditions like MS or Lupus, the same quote is such a positive affirmation. It says great things about your frame of mind. Thanks for sharing. I agree Nicole, I am not at a “forgiving” stage with MS wither and I’m not real sure that’s going to happen! I was a perfectly giving, busy individual without it, now rendered to not being able to safely cook, drive, craft or sometime even “be”! That’s an interesting concept that never occurred to me. 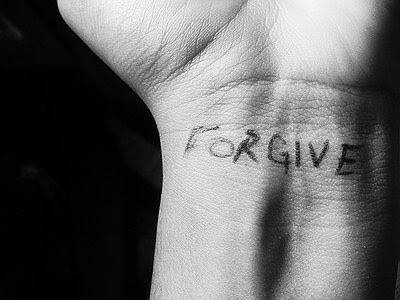 Forgiving MS. And aptly timed, since this is the beginning of the Biblical Day of Forgiveness, Yom Kippur. On the other side of the world, where it is already Tuesday night, the Day of Forgiveness has begun. Here in Hawaii we have almost 12 hours before we begin a total fast and enter in to this most solemn day in which forgiveness is at the forefront of our minds.Thanks for showing me a new way to view MS. I’ll be looking over your book list, as well. Laurie, You’re welcome! I didn’t even know that. Let me know how it goes. I read your postings often but never comment. Today was different. I don’t think I can ever forgive MS for being in my life but I have accepted MS being part of me and things I cannot do today. I am a group leader for the Upper Midwest Chapter and one of my topics was ‘Acceptance’. I told the group to produce (on their own) a list of 100 things they can do and add 1 item to the list every day. The tasks can be simple. We all can dwell on items we cannot do today. Remembering what we can do is forgotten. Annie, Thanks for being an avid reader! I’m not sure if I can complete that assignment! I have to agree, Nicole, that I, too, am unforgiving when it comes to MS. I hold so much loathing for what it’s done to me that I fall way short of being able to forgive. That goes against my nature, by the way, because I can totally forgive people who have wronged me in some way. Maybe that’s why I’m having a hard time moving forward. Then again, I really don’t want to anthropomorphize this MS or give it any kind of recognition that would even allow me to forgive it. Muff, I agree totally, but dream of the day I can totally accept what’s happening to my body. Thanks Nicole, your post is very interesting. I have had MS for 35 years and STILL do Not accept that it is Part of me–I have been Invaded, causing deterioration. It is something Foreign that I constantly try to forget about (until it sticks it’s ugly face in mine & causes me to fall or make a Mistake that a Normal person would Not do). Deb, As soon as I figure it out, I’ll let you know. Forgive MS? I know not what to forgive. For me, it is another obstacle, no more nor less. To treat it as something to be forgiven would seem to be forgiving future MiSdeeds because I doubt it is done. Accepting MS…I hope to some day reach an equilibrium between hate and acceptance. However, I think the best I may ever reach is a swinging pendulum, a perpetual motion between me outside of MS and the MS inflicted self. I can only hope the part of me refusing to accept the new me is the part which pushes for future accomplishments and understanding. The new me is constantly appeasing the MonSter hoping to forever forestall an outright invasion. The new me is perhaps healthier in spirit for not waging the battle, but feels empty without the other half. Well lived, Again very nicely put. for me, acceptance is a hard word… i’m more on the lines of resignation. as for forgiveness, that’s a tough one too. Sherri, I’m not sure if it’s even possible. Excellent subject, ideas, thoughts and writing. I, too, will not forgive MS. I’ve found a place where I can co-exist with it – but I’ll never forgive it. FUMS. Kathy, I guess that’s the best I can hope for now. I don’t know about forgiving MS but I once read that we need to “embrace” our disability. Run with it and get all the physical items you need to live life more comfortably. Like walkers and wheelchairs, sinks the right height, doorways wide enough, etc. Well, I don’t know that I’ve done that, but it’s an interesting concept. Roberta, Thanks that’s an interesting point. I’m looking to move within a year. You make a good point. Grieving is a process that has no ” time up” button. The process is unique to each that is experiencing it. You are ok.
Kim, I think I needed that. Nurse helping nurse…..we are better at helping others….not ourselves.